ONE day in the mid-1800s when a prospector named David Lindsay was sweltering away in a dry creek bed where it was 40-degrees in the shade – and there was no shade – he stopped to pick at a brilliantly coloured stone from which flashes of red danced devilishly under the harsh Central Australian sunlight. With his small hand pick he chipped away at the stone, revealing what he reckoned must have been the biggest ruby he'd seen in his life. 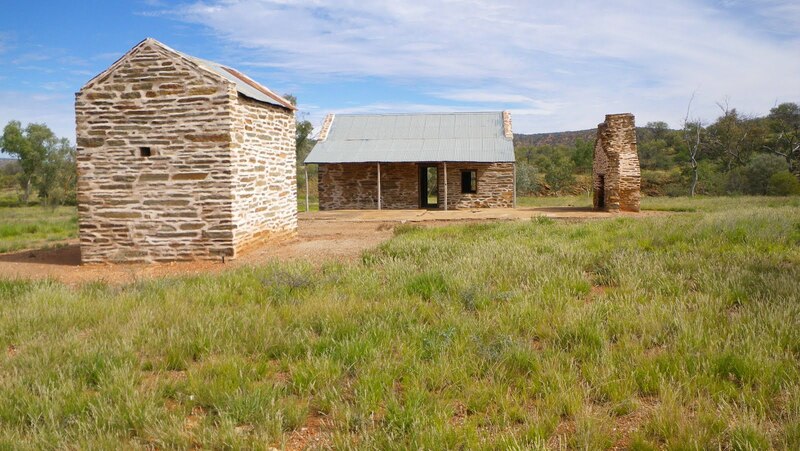 And when more followed, and more followed those, he walked the 40km up the creek to a small gold prospecting camp at Arltunga to celebrate at its sly-grog tent. A few months later on the opposite side of the world, some Dutch gem experts whistled aloud at the stones that spilled from a small purse sent to them from Australia. They had to be the best rubies they'd seen in a long time. So they too took a celebratory drink at the prospects of a wealthy new find in the far-off antipodes. But the celebrations on both sides of the world were short-lived: the brilliant 'rubies,' rumours of which had now started a 'ruby rush' to the Outback, were only red garnets, worth but a fraction of what everyone had hoped. 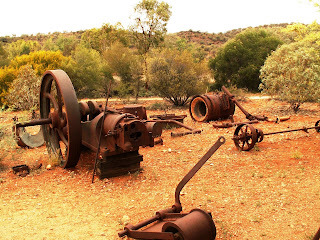 So for David, and the other hopefuls, it was back to gold prospecting, collecting what specks and tiny nuggets they could among the gravel at Arltunga… until David Lindsay's ever-vigilant eyes spotted an alluvial vein on a hill just up from his creek. This turned out to be a far more worthwhile prospect, and soon a gold stamp was brought in to pound the rich ore David had spotted. 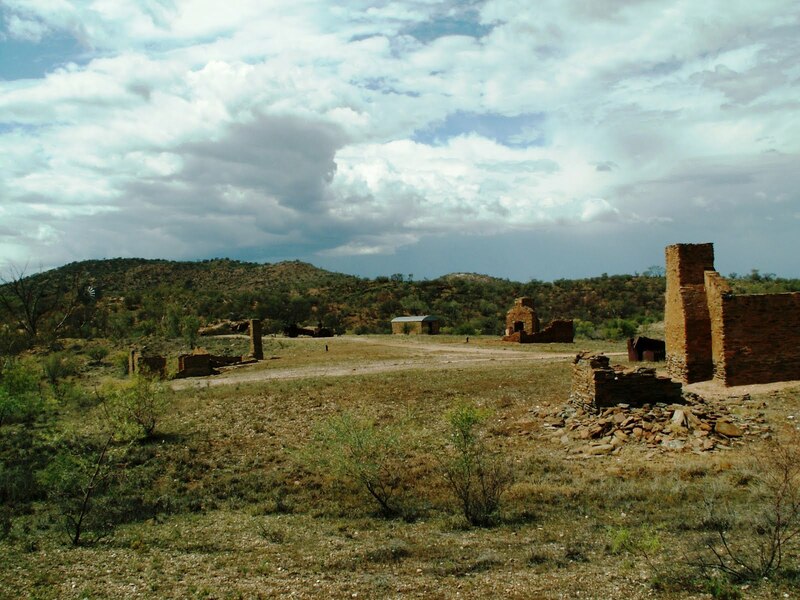 By the late 1800s the little tent site of a hundred prospectors had swollen to an itinerant 2000 with a police station, stores, assayers offices, government supervisors, a pub – and a cemetery. 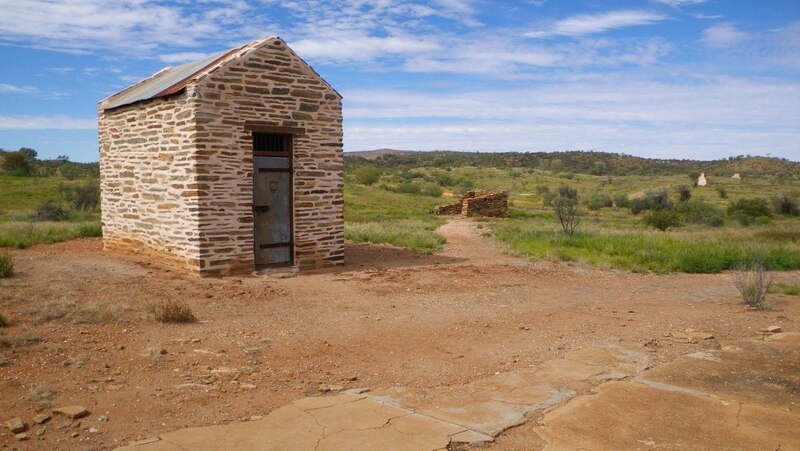 And so Arltunga became the first European settlement in Central Australia, preceding Alice Springs, and at one stage having a 'resident' population of 300 supporting the miners. The mines yielded some 6-million pounds worth of gold between the late 1800s and early 1900s, and while most were abandoned by the time of World War I, some were still being worked until the 1950s… one until 1998. The 'ruby boom' meanwhile had died a very quick death. 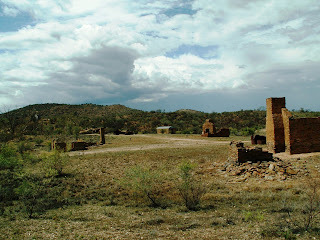 Arltunga lays in the East MacDonnell Ranges in desert country 110km east of Alice Springs. 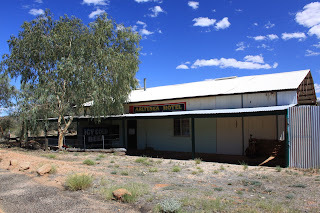 There's an un-manned Visitors Centre with a fascinating collection of historic photos and memorabilia from the time when hopefuls with only the thought of gold on their minds, trudged 600km from the railhead at Oodnadatta with all they owned in swags on their backs, or in wheelbarrows. A self-operated slide show is also available at the Visitors Centre with photos and maps on-screen of suggested areas of interest nearby. And there are the ghostly tumble-down reminders of what was once a town: the police station, its stand-alone cell-from-hell in which temperatures reached 45-plus (before that, prisoners were simply chained to the policeman's iron bed,) the gold stamp and cyanide works, stone floors of one-time houses and a stone pub, abandoned mine workings, sign-posted historic trails, and shaded picnic grounds. 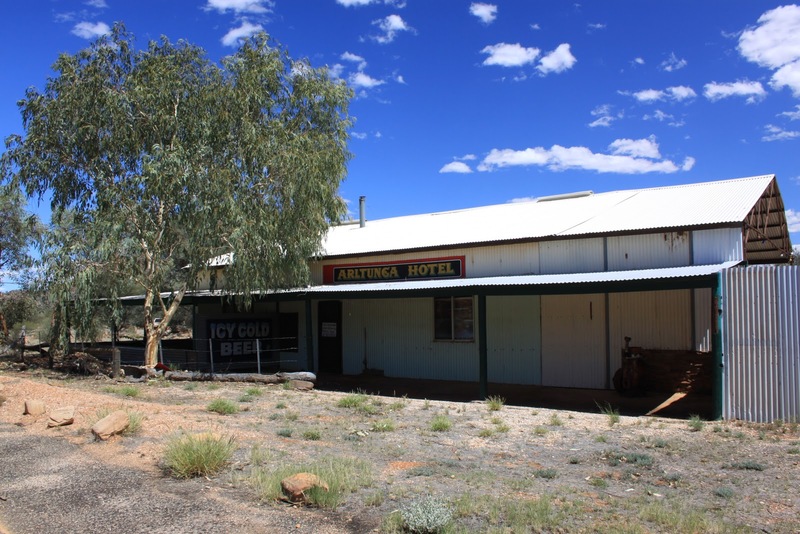 The original hotel – a sign said Sleep Where You Like, But Not On The Bar – has long been nothing more than a ruin, and the most-recent, Arltunga's only business in recent years, pulled its last beers and closed a few months back. And yet as remote as it is, you don't need 4WD to get here: the road is sealed for the first 70km from Alice Springs, and is gravel for the next forty – "a yob filter" as regulars who enjoy escaping to Arltunga describe it. For information about holidaying in Central Australia and visiting Arltunga, phone Central Australian Tourism on 1800 645 199.